Can you afford NOT to have laser eye surgery? More than half of the Australian population wears glasses or contact lenses — even though there are options and they may not need to resort to prescription lenses. Roy Morgan Research has shown that 65.2 percent of Australian women over the age of 18 wear prescription glasses or contact lenses, compared with 54.8 percent of men. So what is stopping the majority of Australians from having this procedure done? Cost is an issue, with the process costing several thousand dollars. While this number can look high on face value, you might actually be paying more by not having the procedure in the long run. 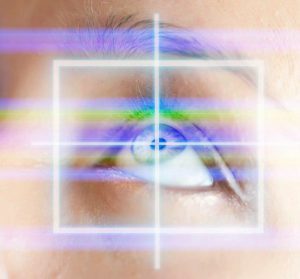 While the initial fee for the surgery can be daunting, the costs of caring for your eyes without having LASIK add up to be even higher. The average cost for a pair of glasses is $300 in Australia, and it is recommended that you replace them every couple of years. That means after 18 years of wearing glasses you would have paid more than the one-off fee for LASIK eye surgery. This timeframe shortens if you wear contacts. The average annual cost of contacts in Australia is $640, which means the investment may be better directed towards a more long-term solution, like LASIK. Many people combine glasses with contacts for different activities in life as well, which inflates the costs even further. And as well as the costs, there is the hassle of caring and maintaining glasses and contacts — a hassle which is eliminated by having LASIK surgery. Can I use my private health fund to cover the cost of LASIK eye surgery? Depending on which fund you are with, there are options to have this surgery partially or full covered. Unfortunately, HCF and NIB do not offer benefits towards laser eye surgery. But many other funds do. HBF will fully cover the cost of the surgery, but you will need to pay upfront out of your pocket and then be reimbursed later. This is included in the Ultimate Cover package and there is a 12 month waiting period. Medibank will reimburse you half of the surgery cost under the Ultra Cover plan, but there is a three year waiting period. BUPA covers the surgery in their Ultimate package with a 12 month waiting period. From May 1, 2018 there will be an additional 24 months of restricted cover for those with pre-existing eye conditions. Defence Health will cover the surgery under the Premier Health Cover plan, but you will need to consult them first to determine if you are eligible. And AHM has a two year waiting period before you can claim $600 per eye with a lifetime limit of $1200 under the Lifestyle Extras package; or $900 per eye with a lifetime limit of $1800 under the Super Extras package. Please always check with your health fund directly to ensure you have the right level of cover and have met waiting periods prior to proceeding with laser eye correction. Book your appointment with NewVision Clinics for a full eye assessment from one of our senior optometrists to ensure you are a suitable candidate for laser eye correction surgery. A consultation with our leading surgeon, Prof. Noel Alpins, will follow. This is a thorough process that takes about two hours and is at no cost to you, with no commitment required. Following this consultation, you can book your surgery and be ready to enjoy life with full confidence and without the need for glasses. Contact NewVision Clinics on 1800 20 20 20 to begin your journey.